Wondering what to give your friends, relatives, and coworkers this holiday season? Consider giving them subscriptions to The Objective Standard. 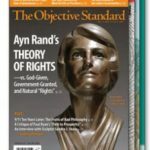 “A friend gave me a gift subscription to TOS, saying he thought I’d appreciate the articles. He underestimated! I find the articles in TOS fascinating, clarifying, and often inspiring. I love this journal.” —Brad C.
TOS presupposes no specialized knowledge and will be appreciated—perhaps even loved—by anyone with an interest in cultural or political issues. All gift subscriptions include online access to the complete set of back issues. Prices start at just $29. Print and fax (or mail) order form. Or call us toll free at 800-423-6151. The Gift of Great Summer Reading—or Listening!